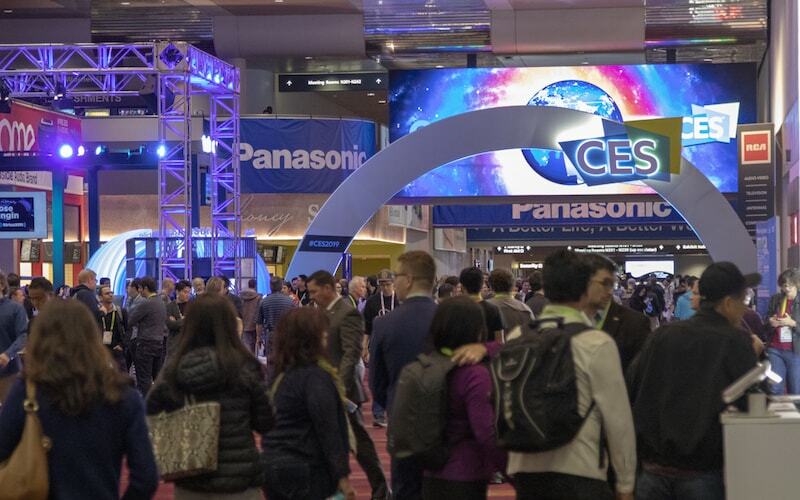 It’s a little hard to believe that CES 2019 has come and gone, but here we are. Another year, another set of new technologies and innovations. This year, everything from incredibly thin laptops to TVs that unroll from a box made an appearance. In truth, there were interesting and innovative products from a variety of categories. Home theater, smart home, mobile, health, entertainment, all of the different disciplines played a role with incredible unveilings for each. Without further ado, here are some of the most promising things we saw at CES 2019. Self-driving vehicles are certainly the future, but some of the tech unveiled at CES 2019 tells a different story. What will passengers be doing, for example, while an AI or computer system steers the vehicle? Additionally, Qualcomm and Harman showed off versions of the future dashboard, utilizing an augmented reality heads-up-display. When coupled with smart control systems, digital and smart technologies can completely change the act of driving. Another name for the smart control systems is Advanced Driver Assistance Systems, or ADAS for short. They include things like auto lane centering and braking, auto parking, and adaptive cruise control. Several internet-ready toilets – yes, toilets – debuted at CES 2019. From the Toto Neorest NX2 to the Kohler Numi 2.0, these porcelain thrones sync up with the greater internet to offer a variety of smart features. Kohler’s Numi, for example, has speakers built-in so you can listen to music while you, well, do your business. It also offers support for Alexa, Amazon’s famed voice assistant. Inubox and Lavviebot are smart toilets for dogs and cats, respectively. There were also bidets and more. Away from the bathroom and into the kitchen you’ll find the KitchenAid smart display. Powered by Google Assistant, the display is meant to offer plenty of recipe and ingredient tips for the at-home chef. It’s also equipped with a water-resistant body and display, which is necessary if you’re splashing or spilling things. The big headliner of the health and medical world this year was the Omron HeartGuide, a wrist-worn watch that can measure blood pressure and identify potential heart defects. Embedded within the small profile device are pumps and air tubes that can accurately measure blood pressure, continuously. What’s remarkable about it is, well, have you ever seen a blood pressure monitor? They’re usually huge and unsightly. The Omron is not, and it looks just like any other watch. It demonstrates a move toward highly functional wearables and sensors that the healthcare industry can use to monitor patients and the like. China-based Nreal unveiled their version of mixed reality glasses – similar to Google Glass – with one incredibly exciting focus: they are lightweight, comfortable, and stylish. In other words, you don’t look like a huge dork with these things on, you just look like you’re wearing glasses. They offer spatial sound, voice control, and a sizeable widescreen display with 1080p HD digital content. Of course, there were a ton of products at CES 2019, so many it would be impossible to list them all here. Some of the other exciting products included Harley-Davidson’s LiveWire electric motorcycle – a world first – Gillette’s heated razor, LG’s flexible rollup OLED R9 TV, and Samsung’s modular displays. That’s the best part about CES, every year you know you’re going to see something truly special.